When I tried to define an S3 class that contains multiple ggplot objects, I’ve faced the lessor-know mechanism of S3 method dispatch, double dispatch. Take a look at this example. manyplot class contains many plots, and displays them nicely when printted. 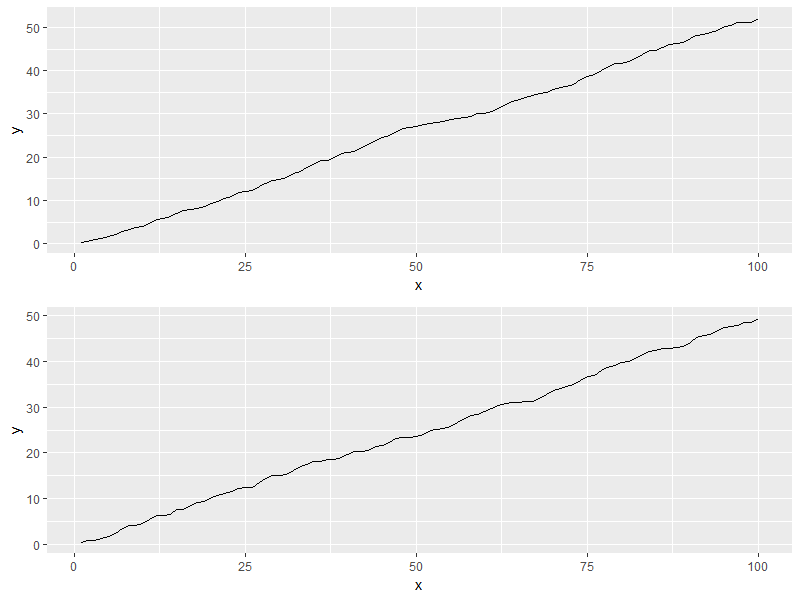 Next, I want to define + method, so that I can customize the plots just as I do with usual ggplot2. #> Warning: Incompatible methods ("+.manyplot", "+.gg") for "+"
Usually, S3’s method dispatch depends only on the type of first argument. But, in cases of some infix operators like + and *, it uses both of their arguments; this is called double dispatch. This is necessary to preserve the commutative property of many operators, i.e. a + b should equal b + a. Does a have an S3 method? Does b have an S3 method? #> Warning: Incompatible methods ("+.foo", "+.bar") for "+"
Hadley says ggplot2 might eventually end up using the double-dispatch approach in vctrs. So, we can wait for the last hope. If you cannot wait, use S4. S4 can naturally do double dispatch because their method dispatch depends on the whole combination of types of the arguments.